In the spring and summer of 2016, FSPW will be embarking on a project, funded by the National Forest Foundation, to assess the proliferation of noxious invasive weeds in the Lightning Creek Treasured Landscape area. Volunteers will be using an app on an iPad (provided by FSPW) to record the location of weeds found in 10 trail corridors in the Lightning Creek drainage. Noxious weeds are injurious to natural ecosystems, causing damage by growing aggressively without natural controls. Most have been introduced by mankind, and thereby threaten the primeval character and natural conditions of wilderness. 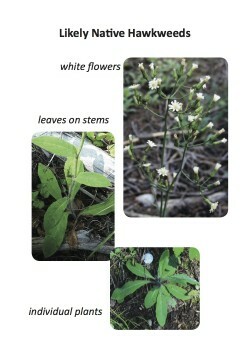 Each state maintains a unique list of noxious weeds. 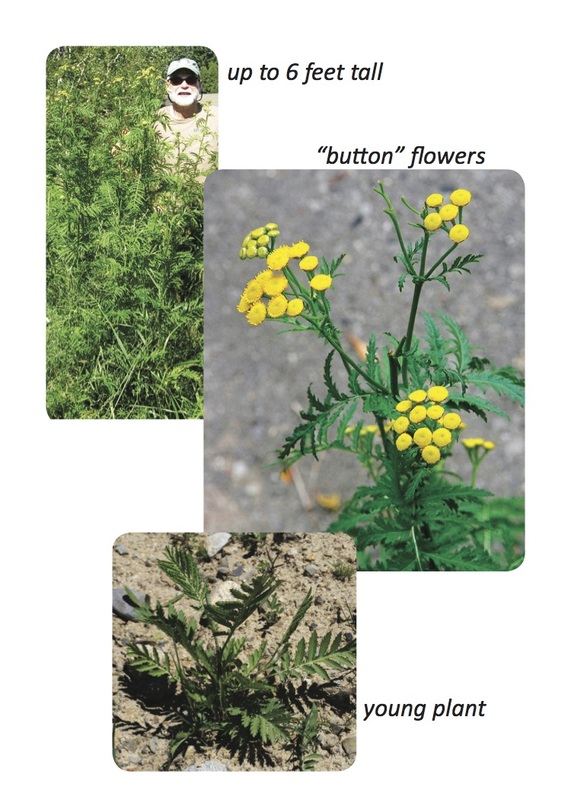 In both Idaho and Montana, state laws require noxious weed control. In the Scotchman Peaks, we face a particularly nasty team of noxious weeds. Nearly all of those found in the Scotchman Peaks are inedible to local wildlife, and they crowd out the native species that animals in the Scotchmans depend on for survival. 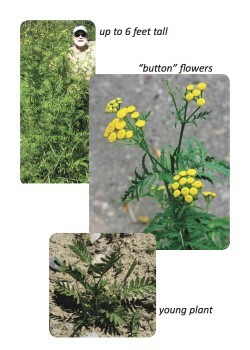 Of particular notoriety are four “worst offenders.” Common Tansy is a fast-growing plant with yellow button flowers that can reach 6 feet tall, and is most easily identified by the strong camphor odor that it emits. 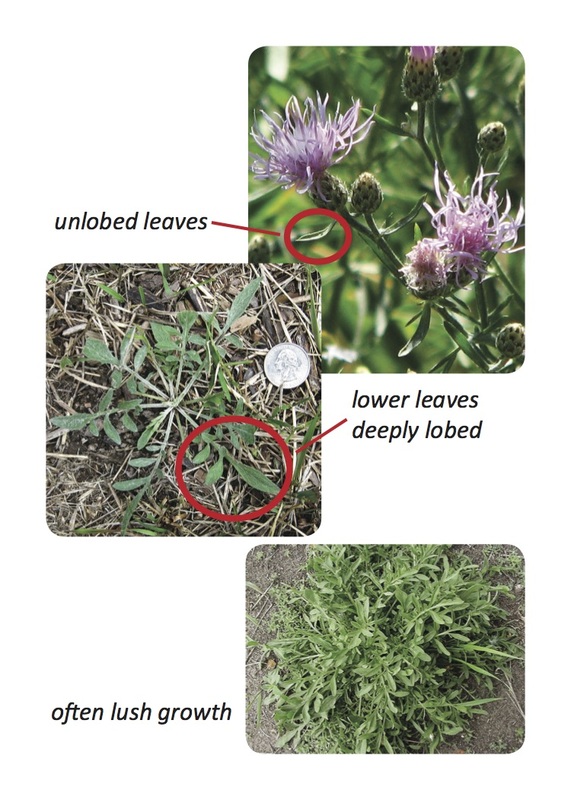 Hawkweed appears in a number of varieties, both native and non-native, but invasive species can often be identified by their leave-less flower stalks and thick patches of roots connected by roots and/or runners. Knapweed, both the spotted and diffuse versions, is highly invasive and can often be identified by its deeply lobed leaves and white, pink, or purple button flowers. 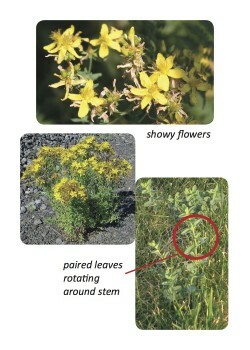 Rounding out the lineup is St. John’s Wort, which has distinctive star-shaped yellow leaves and paired leaves on opposite sides of the stem. Starting in 2017, FSPW is partnering with the Idaho Panhandle National Forests to use beetles to tackle the St. John’s Wort problem in the Lightning Creek Treasured Landscape. Thanks to the weed warriors and resident “weed guy,” Ken Thacker, it was determined that traditional treatments were not working on this particularly aggressive weed. Volunteers, as well as FSPW and Forest Service staff are receiving training from the Nez Perce Tribe Bio-control Center and the Forest Service Plant Health Protection department. We’re hoping to make this buggy project a multi-year endeavor. If you are interested in helping out, contact Britta Mireley at britta@scotchmanpeaks.org.